It was an elephant. But who would have wondered, that he wanted to build a pyramid? 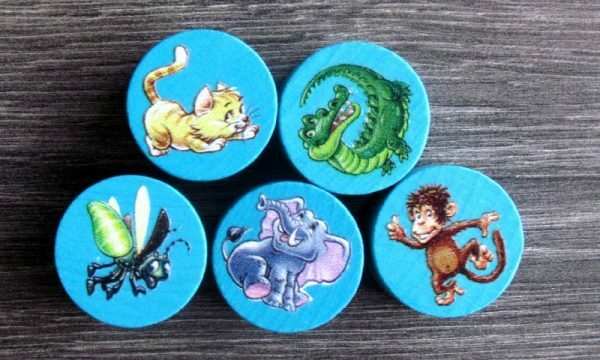 He will stay on his feet safely on the ground and only using his trunk, he will support the other pet friends, who will balance somewhere above the ground. Poor hedgehog, cat, turtle and mouse. None of them can afford dizziness, so they prefer to look up as they build the largest animal pyramid of all time. But besides balancing, one more thing is needed – memory. And here, only the children can help in new version of the Tier auf Tier game, with the subtitle Stapel-Memo. 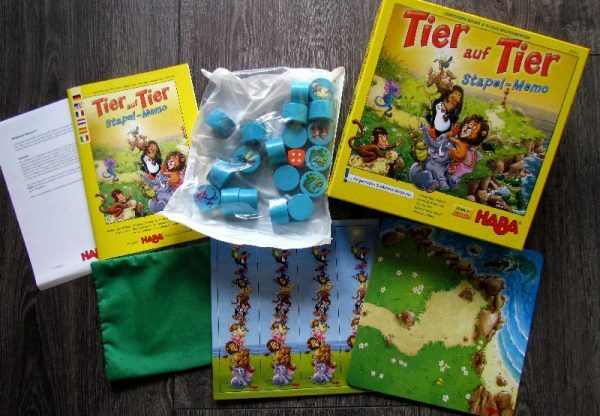 It was created by designer pair Christoph Behre and Klaus Miltenberger, who released their work under the auspices of HABA. 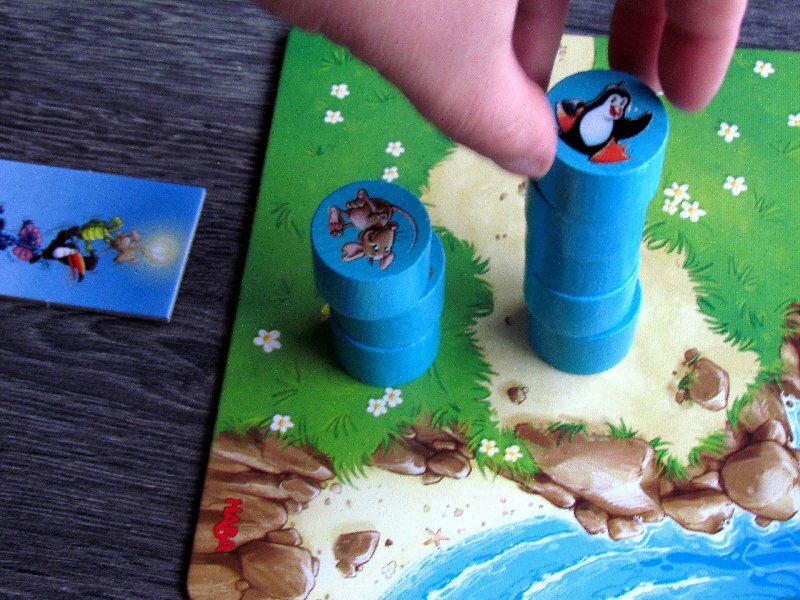 It is clear from the title, that it is again a game, in which children will create a pyramid with animals. 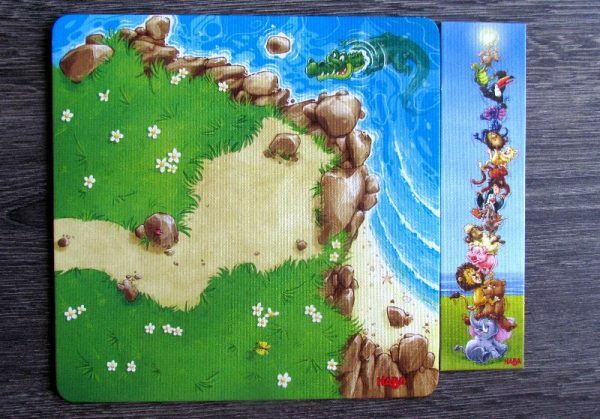 And even if you did not know name of the game, you would know everything from the picture on the lid at first sight. 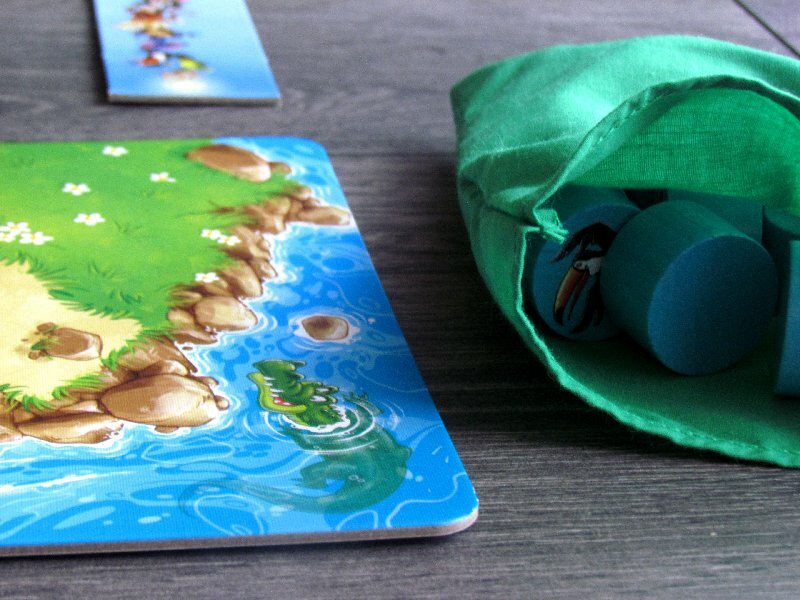 Inside, all players get a small game board with an illustration of the coastline, where a sneaky crocodile is waiting in the water. 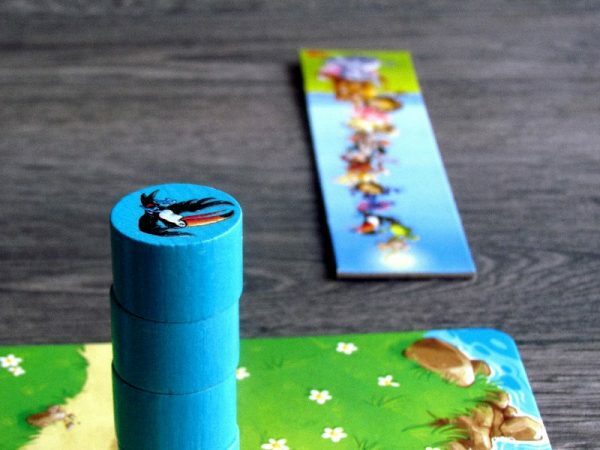 Cardboard is also material for four tiles, that act as a help and show a completed pyramid in order from the largest creature up to the smallest animal on top. 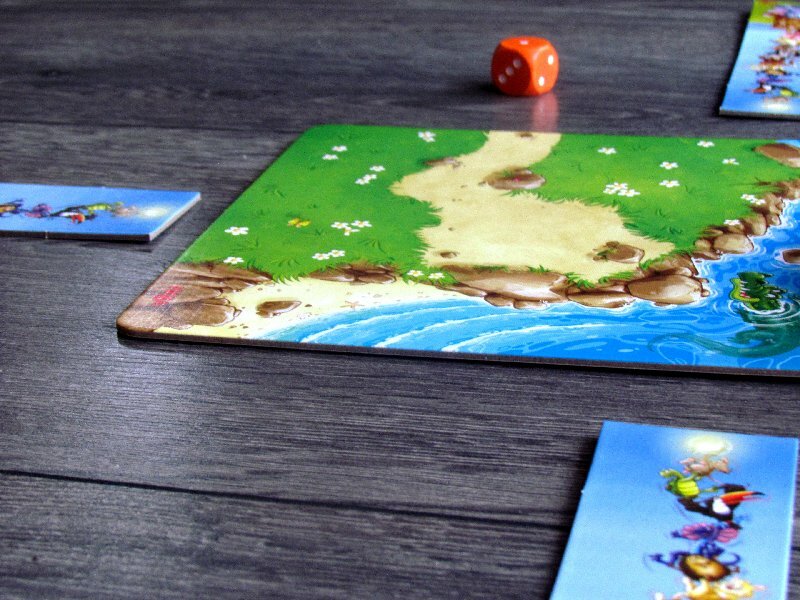 And while big board is placed in the middle of the table to start playing, the individual help tiles are dealt to the participants. All wooden stones with pictures of the individual animals are then poured into green canvas bag, where they all start the game. Aside from attention. And this also applies to a sixsided orange die with dots on every side. Starting player draws three stones. 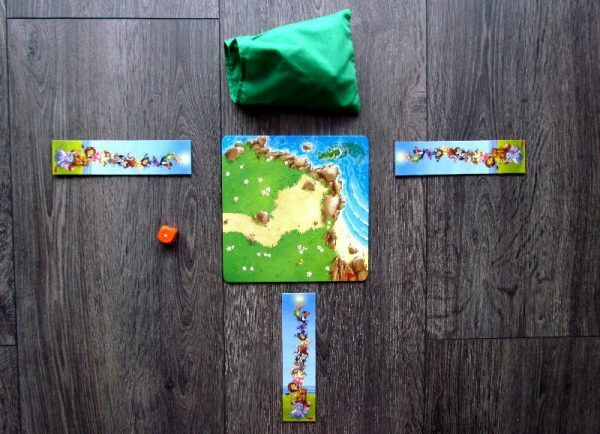 He looks at them, shows their pictures to other players and then sorts them by size (according to help tile) and places them on top of each other in a pyramid in the center of the table. From that moment on, however, these pictures will remain invisible to all participants. There is no other choice, than to remember state (and members) of the pyramid in your mind. Afterwards, players will be drawing one animal at a time from the bag and they again show it to all participating. But only the active player has to place new stone in the correct position in pyramid, based on his memory. He carefully sets stones, that should be on top of it, aside. He must make sure, that the structure does not crash. Then places stone and returns all otner animals on top of it. If at any time, the construction falls down, only the one who destroyed it loses and everyone else celebrates victory. Otherwise, game continues with further turns. 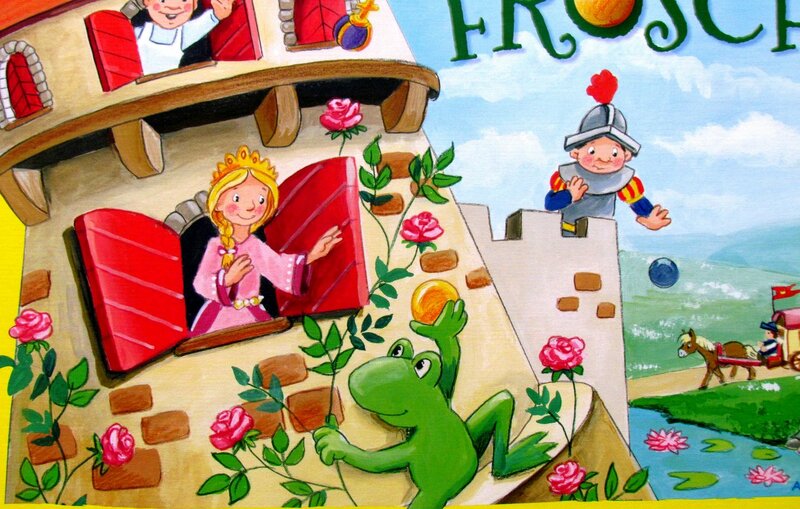 There is also a crocodile character, who is waiting for his chance hidden somewhere among other stones in a sack. At that moment, when crocodile is drawn, dice comes in line. Result of the roll determines order of stone in the pyramid, which must be returned (without looking) back to the bag. This makes the situation with animals even more tangled for players and their memory. However, crocodile itself does not stack to the construction and instead runs away after swallowing one of the animals. All players must pay close attention at all times. Whenever they get to turn and are convinced, that there is a mistake in the tower, they can report it. At that point, however, there is only one way to verify it. Players break the entire pyramid and check current order of the animals. If there really is a mistake, player who noticed it, will win. But if everything is right, he is the only one, who has lost. When players complete the whole tower without a mistake, then everyone wins! 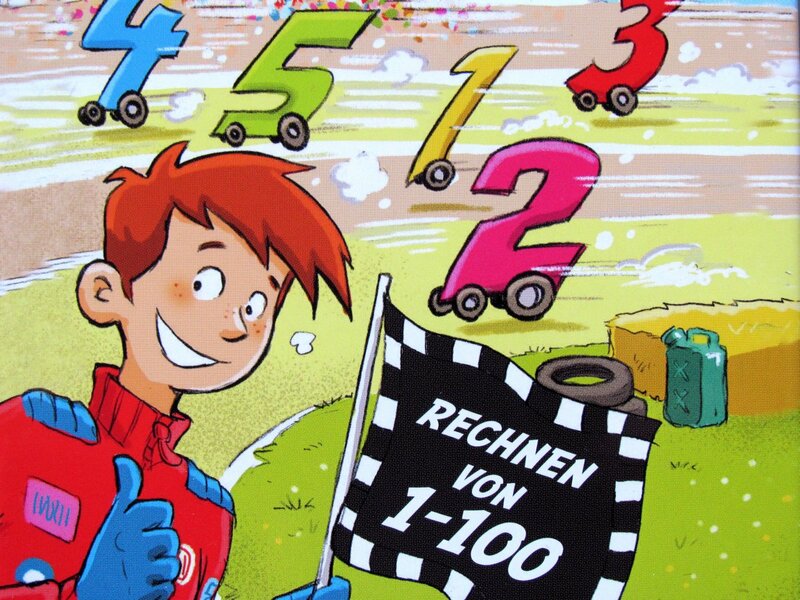 In most situations, therefore, more than one participant becomes the winner. Tier auf Tier: Stapel-Memo is a transformation of the classic stacking game under a completely different coat. While the game still revolves around building a pyramid, skill is just half of the success. Laying stones one on the other is not such a challenge. At least at first, until the animals really start to grow. And if you have a bear to be placed down, it can be very exciting. 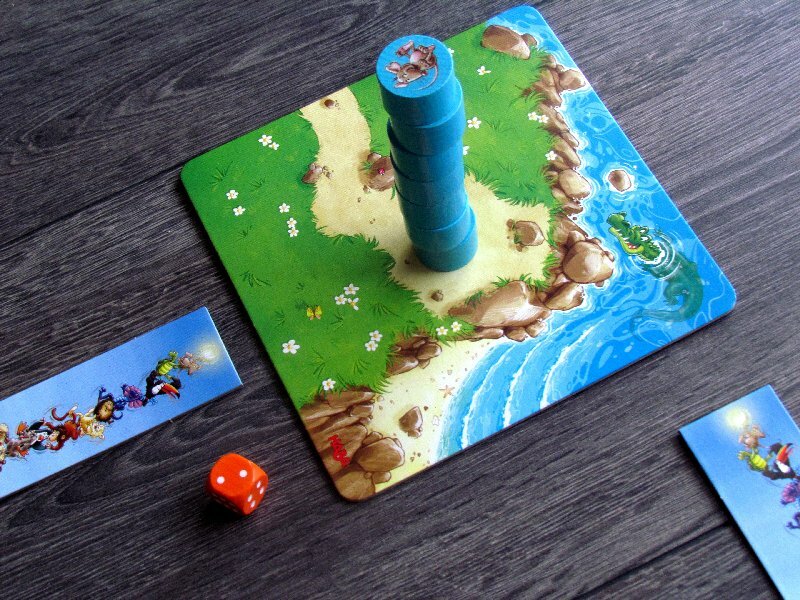 While the player can work with both hands, splitting the tower into two parts is allowed at a place, where he wants to add a new stone. And sometimes it can mean putting aside fifteen stones. And that’s really an unstable height. But the most beautiful moment is obligation to place the stone in the right place by memory. Everybody watches it happening and knows the animals, that are already in the tower. 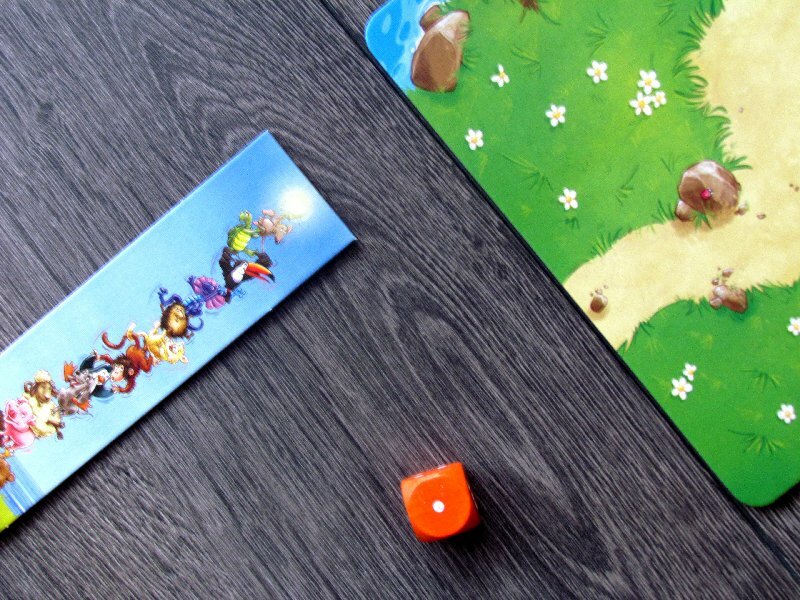 Therefore, players should be able to determine the correct place, where to add the stone. But often it happens that children make a mistake. They count it wrong or forget about some pet being there. If noone notices that, they’ll get through. Game is not just about memory of one, but also attention of everyone else. Children must always stay on watch. And it’s not that difficult to hold their attention, because the game is always exciting and the individual turns are incredibly fast. Drawing the stone, adding it to the pyramid and someone else can play. Thanks to this, everyone is constantly interested in building and entire nineteen-piece plot takes about ten minutes. And sometimes, the pyramid falls prematurely. It’s a small game for young children. Five years are the set limit, which is great news. Beautiful woodworking still supports this recommendation. Box is no disappointment even in terms of illustrations. They are beautifully colorful exactly as kids like it. 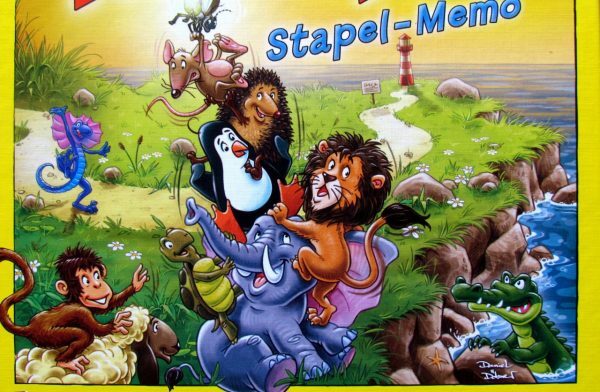 Tier auf Tier: Stapel-Memo is a great children game, that we have nothing to reprehend. It offers fantastic entertainment, that revolves around memory and dexterity, all in a beautiful wooden package. Tier auf Tier: Stapel-Memo is an accurate score for all children alike!